Home » News & Events » News » Scottish Football Club Benefits from Stelrad Warmth! Scottish Football Club Benefits from Stelrad Warmth! Ochilview Park is one of the friendliest football grounds in the UK, the home of Stenhousemuir. 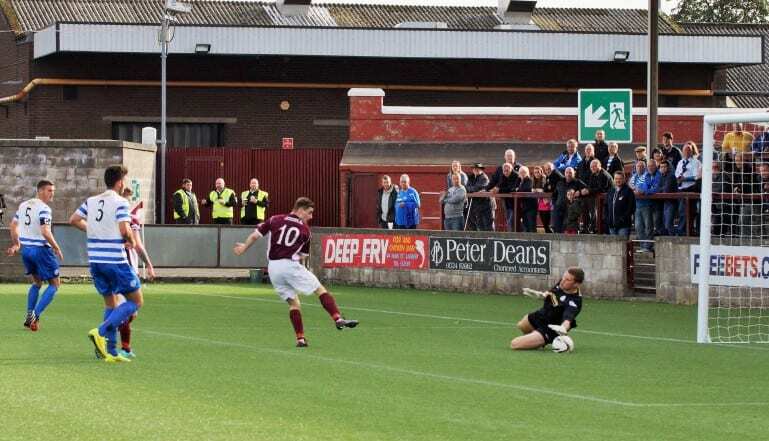 It’s been the home of Stenhousemuir since 1890 but has seen huge improvements over that time of course, sometimes because it was planned, sometimes because events – such as the fire of 1928 that destroyed the main wooden stand – decreed it had to happen! The view from the main stand is arguably the most stunning at any ground in the UK, out across the neighbouring cricket club’s ground to the foot of the Ochill mountain range, 12 miles away – a wonderful sight in the colder months, with snow dusting the tops of the hills. Friendly definitely, warm – rarely, so when it came to looking at upgrading the heating system at the ground, leading radiator manufacturer Stelrad saw a role for its excellent new energy saving Radical radiators – the first serial feed radiator in the UK. 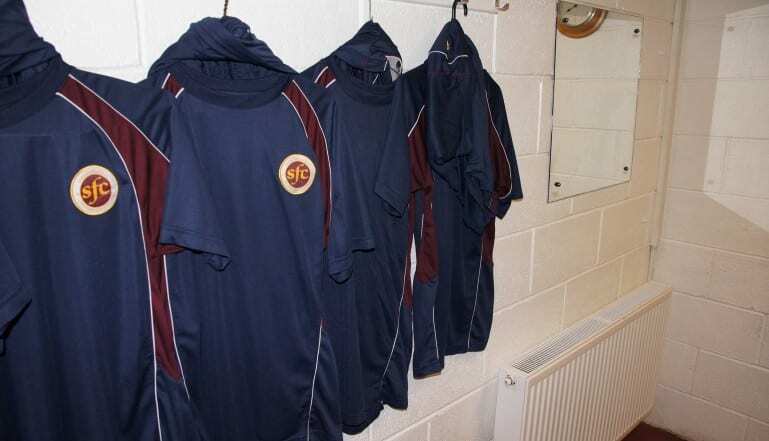 Stenhousemuir Football Club is run as a community interest company and has its roots deeply embedded in the local community. For a club that has languished in the lower reaches of the Scottish Football hierarchy for much of its history, it is remarkably active with a huge number of youth teams and development squads. It is perhaps best known outside Scotland for its Warriors Abroad organisation. The club, probably because of its wonderfully Scottish name has attracted support from afar and there are supporters all around the world. But in particular in Norway, with the supporters from that country watching several games a season often dressed in full Nordic regalia! From a practical point of view, the club buildings that surround this picturesque little ground have been heated using a very inefficient and elderly electric heating system and it was clear that the club could save significantly on fuel bills for heating the dressing rooms, offices and the hospitality area whilst providing cost effective hot water if it switched to a highly energy efficient gas fired system. In all it needed to install 43 radiators of varying sizes around the ground. One of the club’s directors is one Robert Beagley, who in his ‘day job’ just happens to be Regional Director for Plumb and Parts Center, Scotland and Northern Ireland. If it’s not too much of a mixed metaphor, when it comes to heating, Robert knows his onions. At a recent Ecobuild exhibition in London, Robert took a keen interest in a new radiator concept being exhibited at the show by Stelrad, the UK’s leading manufacturer of radiators. This was Radical – the first serial feed radiator on the UK market which in simple terms means you can heat your home – or your football club buildings – quicker and cheaper. In fact KIWA has independently tested the Radical radiator and agreed that using the Radical can save you 10.5% of the energy you would use using standard radiators. Since Ecobuild, the Radical has rounded up a number of awards in the heating sector – heating product of the year at the H&V News Awards and Retrofit product of the Year at the Greenbuild Awards – so its fame is spreading, and it seemed natural to select the Radical for the revamped heating system at Stenhousemuir. It’s the first ‘serial feed’ radiator on the UK market place and the first to come with an integrated thermostatic valve insert. Standard radiators are ‘parallel feed’, where the water enters the radiator and is fed via a ‘T’ piece to enter both panels at the same time and the same rate. A serial feed radiator allows the water to enter via a centre tap connection, directing the water flow into the front panel first before, after circulating around the front panel, the water eventually makes its way from the front panel into the back panel. Because the front panel of a Radical heats up first, there’s a higher average temperature in the front panel than you get from a standard radiator and less heat is lost from the back panel. With Radical, the front panel heats up more quickly than a standard radiator would and ensures the front panel gives off more radiant heat – increasing the feeling of comfort to people in the room. The simple result is that you feel warmer, faster and because it is genuinely energy efficient, cheaper too.